Meet Hannah M. Lynn! Her first novel, Amendments, was published in 2015 and her latest novel, The Afterlife of Walter Augustus, is out now. I asked her a few questions about her book, her inspirations and future plans. Hannah M. Lynn (HML): I’m a thirty-four year old writer and Physics teacher. For nine years I lived and worked in Asia before relocating back to Europe last year. I am only just getting used to the cold again! My debut novel Amendment was released in 2015 and my latest novel The Afterlife of Walter Augustus. Walter Augustus is dead. He is stuck in the Interim — a posthumous waiting room for those still remembered on Earth — he is ready to move on. Only when he is forgotten by every living person will he be able to pass over to the next stage of the afterlife. At last the end is tantalizingly close, but bad luck and a few rash decisions may see him trapped in the Interim for all eternity. 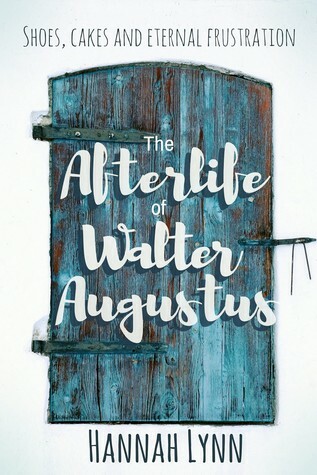 IB: How did you come up with the idea for “The Afterlife of Walter Augustus”? HML: I can actually remember exactly when the idea came to me. It was the weekend of my birthday and we were meant to be going on holiday, but my husband was unwell so we had to cancel. Needless to say, I was not in the best of moods. We were living in Malaysia at the time and had visitors over, so while between checking on my husband, looking after them and working I felt completely run of my feet. One of our guests was watching a TV programme about mediums who were contacting people beyond the grave. As I left the house I was still thinking about that programme and the afterlife, and how there was enough space for everyone who needed to be contacted. That was when the idea of Walter being trapped until he was forgotten sprung into mind. Everything went from there. IB: Who are some authors that inspire you? HML: So many; I truly believe you can learn something new from every author you read. I am a massive fan of Murakami. He world he build really draw you and the same with Neil Gaiman. Any author who can make a world which is entirely their own yet utterly believable inspire me greatly. IB: What’s next for you, are you working on anything right now? HML: Yes. I have a new novel Peas, Carrots and an Aston Martin, that will be out in October. It’s a very busy time. IB: Any words of wisdom for aspiring writers out there? HML: Don’t stop wanting to learn, be it through reading or writing, do everything you can to push yourself forward and don’t give up. No one ever got anywhere by quitting. I want to thank Hannah for taking the time and giving me the opportunity to do my very first ever author interview! I will post the review of “The Afterlife of Walter Augustus” this Friday, 27th of July, as part of its Blog Tour.